Here is my first draft of making a large poster based on the new 100 ideas book from @teachertoolkit. The idea is that the large poster is on the wall (A1 in size) and the pupils will simply pick a homework to do, rather than me set a different one each week. 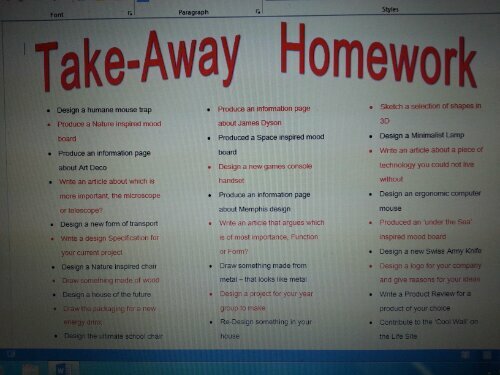 I am hoping that this is a great way to cut down on planning, whilst keeping the pupils keen on homework. Watch this space….and thank you @teachertoolkit.